Prove that girls know just as much about football as guys by challenging them to a Super Bowl trivia competition. The losers have to serve the winners for the entire game. 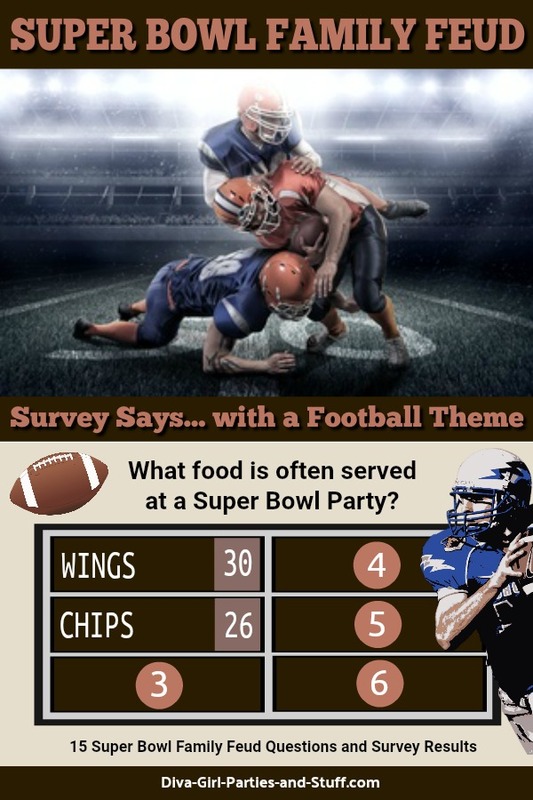 Either conduct this trivia challenge as guests arrive at your Super Bowl Party , or plan to compete a week before the event so the guys will have plenty of time to prepare to serve you girls... lol! May the best (wo)man WIN! 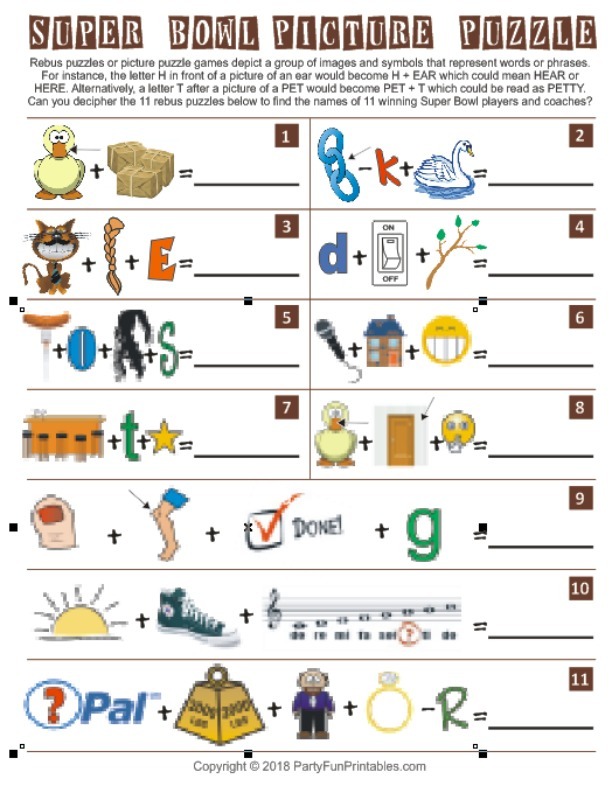 A free printable version with answers is available below. 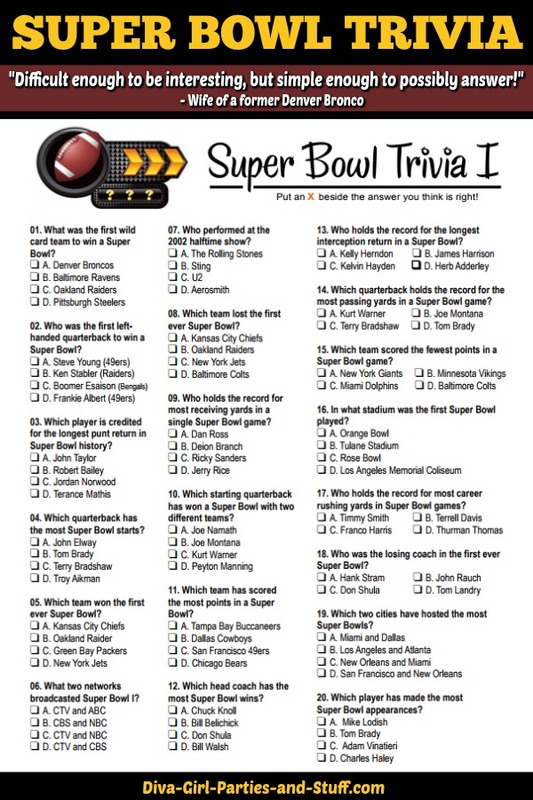 *** Printable Version of This Super Bowl Trivia. 01. What was the first wildcard team to win a Super Bowl? 02. Who was the first left-handed quarterback to win a Super Bowl? 03. Which player is credited for the longest punt return in Super Bowl history? 04. Which quarterback has the most Super Bowl starts? 05. Which team won the first ever Super Bowl? 06. What two networks broadcasted Super Bowl I? 07. Who performed at the 2002 halftime show? 08. Which team lost the first ever Super Bowl? 09. Who holds the record for most receiving yards in a single Super Bowl game? 10. Which starting quarterback has won a Super Bowl with two different teams? 11. Which team has scored the most points in a Super Bowl? 12. Which head coach has the most Super Bowl wins? 13. Who holds the record for the longest interception return in a Super Bowl? 14. Which quarterback holds the record for the most passing yards in a Super Bowl game? 15. Which team scored the fewest points in a Super Bowl game? 16. In what stadium was the first Super Bowl played? 17. Who holds the record for most career rushing yards in Super Bowl games? 18. Who was the losing coach in the first ever Super Bowl? 19. Which two cities have hosted the most Super Bowls? 20. Which player has made the most Super Bowl appearances? 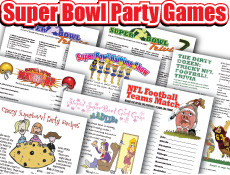 For even more fun and challenge try a Super Bowl Match-Up Game! Match the Super Bowl team or player with the applicable Super Bowl fact. A challenge to predict the outcome of the game is also a great interactive crowd-pleaser. Let us know who WON your Super Bowl Trivia Challenge! 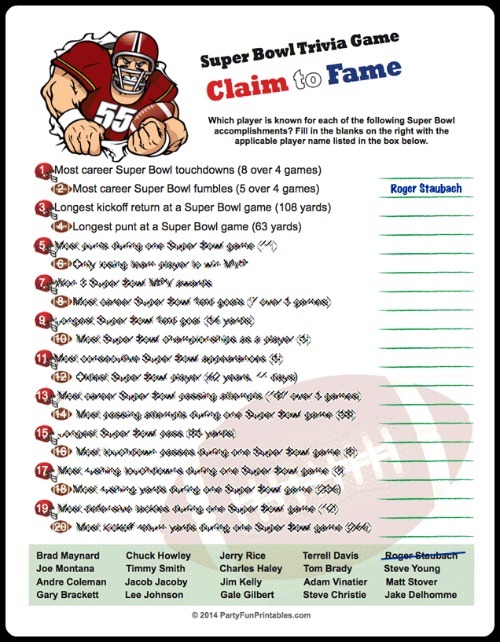 Super Bowl trivia, please fill in the form below. 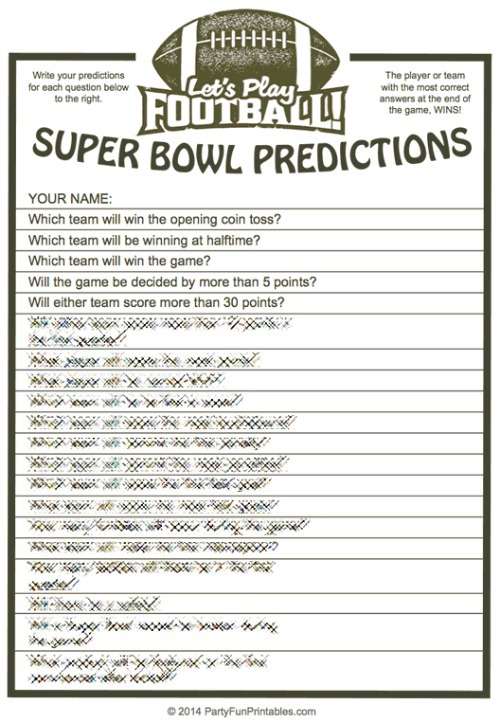 To view this printable Super Bowl trivia, you will need Adobe Reader installed on your computer (the latest version is recommended). You can get your free Adobe Reader here (a new window will open so you can download without leaving this page).